The 2019 event will hold a particular place of significance due to Brexit and the UK officially leaving the EU on the 29th of March 2019. As such, the UK will no longer be part of the EU free market; hence, having a significant impact on parallel trade. This conference is a must-attend show for anyone involved in the parallel trade industry within pharmaceuticals and life sciences. Attending the show gives you the chance to interact with and discuss common issues with people involved in all the areas of the parallel trade industry to further strengthen your industry knowledge and approaches. Heinz Kobelt, born 1947, holds the position of Director European Affairs of the EAEPC after having served as its Secretary General from February 2005 to April 2011. The European Association of Euro-Pharmaceutical Companies (EAEPC) is the representative voice of pharmaceutical parallel distribution in Europe. Through national association or individual company membership it encompasses some 88 firms from 23 countries in the European Economic Area (EEA). Before that, from 2001-2003, Heinz Kobelt was Head European Government Affairs of Novartis International, located in Brussels. From 1990 – 2001, Heinz Kobelt worked as an international public servant in the Secretariat of the European Free Trade Association (EFTA), where he participated in the negotiations of the EEA Agreement and held various positions as economist and policy analyst. He was stationed in Geneva, and from 1992 in Brussels. Between 1977 and 1990, he was a member of the Economics Administration of the Swiss Canton of St. Gallen, responsible for economic development and investment promotion. Heinz Kobelt holds a degree in economics (Dr. oec) from the University of St. Gallen, Switzerland. Daniela Joined Almirall in July 2017, with de Global Market Access Department she ensures optimal P&R conditions for the company products globally. Daniela is a pharmacist and she holds a Diploma in Health Economics by the Pompeu Fabra University. She has experience as a Pharmacy Manager within the UK, with expertise in Operational Pricing, Market access and payers landscaping in both Spanish and International markets. 18 years’ experience from both the Norwegian and the Swedish Rx/parallel trade market. Thereafter 8 years building up the Swedish Parallel Trade department for Sweden’s biggest private owned pharmacy chain, Apotek Hjärtat. Now Head of Rx with responsibility for all prescribed products. Deborah Drury is a senior consultant at Europe Economics, an independent economics consultancy based in London and Brussels. Deborah has over 10 years’ experience as an economist, specialising in economic regulation, incentive design and public policy impact assessment across a range of sectors including healthcare and pharmaceuticals. Deborah has analysed the rationale for and impacts of healthcare professional regulation; regulatory approaches to telemedicine; and ways to combat the trade of counterfeit medicines in the EU. Effects of parallel trade on patients’ access to patented medicines. Key risks and policy implications. What opportunities and risks will Brexit offer? IQVIA’s expert and thought leader in European Parallel Trade dynamics, supply chain and distribution with several years of experience working in this field. Shabnam has developed in-depth expertise in pharmaceutical market dynamics and the increasing complexities of the trading environment. Shabnam is highly experienced on IQVIA’s data types, coverage and various supply chain offerings available centrally as well as locally, working with network of people within and outside organization. She has led several European supply chain consulting projects in the past few years. Shabnam holds BSc, MSc and PhD from University of London in Pharmaceutical and Computational Chemistry. Supply of original medicines to hospitals and pharmacies in Europe. 7 double Gazelle Award winner for fast growing companies in Denmark. 15:20 The European Medicines Verification System before the big bang! Are supply chain operators ready? Implications on supply chain: is FDM disruptive? Are shortages to be feared? And Brexit is around the corner! Vimal Unewal is currently the Senior Manager for In-Market Supply for Ferring Pharmaceuticals, looking after the Parallel Trade across Europe. Vimal has 23 years of experience in supply chain and commercial across EMEA, Asian, Latin and North American markets for branded and generics pharmaceuticals, FMCG, and automotive. Vimal holds a B.Sc. in Business Management from Technical University of Lisbon and a frequent speaker at supply chain conferences. Vimal lives in Berkshire and he’s interested in music and table tennis. As a graduate in “Business Administration” (at Universidade Católica Portuguesa) I began my career as a Tax Consultant at Deloitte in Lisbon. I soon felt the need to start-up my own projects, and so started-up a travel agency which was sold a year and a half later. Since then I have participated in starting-up small businesses in areas that range from food services to consultancy in modular construction. In addition, I am currently president of the board of APIEM (Portuguese association of importers and exporters of medicines) and board member of the EAEPC (European Association of Euro-Pharmaceutical Companies) in representation of Portugal. Mike is Executive Director of the European Alliance for Access to Safe Medicines (EAASM). The EAASM is a pan-European patient safety organisation, bringing together all concerned with eliminating falsified medicines from the supply chain. With patient safety at its heart, the EAASM is also currently championing safe medical practices. Mike is also the Executive Director of the Alliance for Safe Online Pharmacy in the EU (ASOP EU). With over 30,000 fake pharmacy websites targeting Europe on any given day, this multisectoral organisation’s mission is to enable patients to buy their medicines online safely – where it is legal to do so. Mike is also European Medicines Partnership Director for International Health Partners a UK charity whose Queen’s Award for Enterprise for continuous Innovation, recognised the tremendous humanitarian work sourcing donated quality medicines from the healthcare industry and coordinating delivery via secure supply chain solutions to disaster-struck areas in close liaison with NGOs. How can we monitor and manage the demand? Medicines for Europe’s goal is to improve health by ensuring better access to treatment for patients in Europe and beyond. As Market Access Director for the Generic, Biosimilar and Value-Added medicines groups, the objective of Maarten’s team is to shape in the EU a dynamic and sustainable market environment. Maarten joined « Medicines for Europe » in 2011 as Medical Affairs Manager. In his life before the association, he worked in the pharmaceutical industry providing pharmacovigilance consultancy and in the medical device industry liaising with Key Opinion Leaders. He combined these roles while working weekends in a community pharmacy. Maarten is a pharmacist by education and holds an MBA from “Solvay Brussels School of Economics and Management” and “École des Ponts Paris Business School”. Martin holds CEMS Master's in International Management and Master’s in Business Economics degrees from ESADE Business School Barcelona and University of Economics in Prague. 11:00 PANEL DISCUSSION: Shortages – how and why do they occur? The potential implementation of incentives towards companies to reduce this occurrence? Would there be a way to track shortages in order to aid the reduction of them? Kasper Ernest has worked in European affairs advocacy in Brussels since 2009. From 2009-2018 he was with the Confederation of Danish Enterprise, since 2015 serving as Director of the EU & International Department. He has also served as the Board Member of several EU-level business organisations, as a Member of the Danish Government’s Implementation Council, and was co-founder of the European Business Services Alliance. He joined the EAEPC as Secretary-General in April 2018. In addition, he is an external lecturer at Copenhagen Business School. He holds a Master’s degree in International Business and Politics from Copenhagen Business School and Singapore Management University. Iona is a competition economist with 16 years of experience advising clients on competition and regulatory matters. Iona has an established reputation for delivering rigorous economic analysis for clients, in particular with respect to anti-competitive agreements, abuse of dominance infringements, and associated private damages claims. She has acted for the UK, EC, Dutch and French competition authorities, as well as lawyers and businesses. Iona has worked across a range of sectors including transport, financial services, healthcare and pharmaceuticals. She holds an MSc Economics from the London School of Economics and a BSc (First) in economics and French from the University of Birmingham. Iona also spent a year studying economics at the Sorbonne in Paris. 13:20 Is there a harmonised approach of Parallel Trade by authorities and courts in the EU? John Lisman, Attorney, Consultant, Trainer, Lisman Legal Life sciences B.V.
John Lisman received master degrees in Pharmaceutical Sciences and Dutch Law from the Utrecht University. From 1992 until 2007, John was a civil servant in the Dutch Ministry of Health, Pharmaceutical Department, and the Dutch Medicines Evaluation Board as Policy Advisor. He was involved in EU legislation about medicinal products, medical devices, blood and blood products, cells and tissues and their implementation in Dutch law. He functioned as a member of many EU and international commissions and committees like the Pharmaceutical Committee and the EMA management board. Since 2007, John is attorney-at-law. He advices and represents clients from the area of pharmaceuticals, biologicals, medical devices and other medical products. What are the consequences for the business? Miranda Cole, a partner based in Covington's Brussels and London offices, specializes in competition law, particularly in relation to complex collaborative arrangements, from structural transactions (and related merger control issues) to co-operative arrangements both between competitors and between companies active in related, but not overlapping markets. She focuses on advising companies active in the technology, software and life sciences sectors. She advises clients on competition issues raised by IP, data and technology, including access and licensing issues, standardization, remuneration and interoperability. Miranda has recently advised in connection with collaborative life sciences arrangements for Illumina, Takeda, AstraZeneca, Merck, UCB, Abbott, BMS, SK Biologics and Eli Lilly. Christopher is a recognized expert in parallel trade, with a particular focus on the pharmaceutical sector - his 2007 textbook, “Parallel Trade in Europe: Intellectual Property, Competition and Regulatory Law,” has been cited by the UK Supreme Court. Christopher is also an experienced litigator on cross-border patent disputes, other types of intellectual property, antitrust, pharmaceutical regulation, EU law and commercial disputes. He has taken cases before the First Tier Tribunal, the Upper Tribunal, the Patents County Court, the High Court, the Court of Appeal, the House of Lords, the Supreme Court, the European Patent Office, and the European Court of Justice. Past: ex payer as AIFA member (pricing and reimbursement committee), Regional HTA Committees member (several Regions), Director at Ministry of Health (appointed), General Manager and Vice President of GSK Foundation Italy and of Angelini Foundation, several director roles in pharmaceutical industries, secondments in UK and US. After more than 20 years as a Process Development chemist for a major pharmaceutical company, David joined one of the largest UK Parallel Importers as Regulatory Affairs Manager. His 5 year tenure gave him a good understanding of the restrictions and pressures on importers. Since joining MHRA as Manager of the Parallel Import Unit this industry experience has been beneficial in guiding changes to the internal assessment processes to provide a better service to industry while ensuring an appropriate focus on patient safety. Attorney, Consultant, Trainer, Lisman Legal Life sciences B.V. Registered pharmacist (1992) following a year training in a NHS hospital and then as a community pharmacist for some years whilst also involved in regulatory projects for start-up of parallel import companies in the UK. Facilitated application for MHRA Manufacturing Licences and PL(PI) applications for various clients. Completed my MBA in 1996 and progressed with retail, wholesale and regulatory aspects of the pharmaceutical industry. Having established a group of four retail pharmacies I progressed with my passion for regulatory and generic pharmaceutical development. Now fully engrossed with formulation & development of generics and formed a fully encompassed pharma company with all regulatory and GxP disciplines in house with our own Marketing Authorisations. I am a EU QPPV leading our in house Pharmacovigilance department and also a trainee EU QP, having our own virtual Manufacturing Licence. My ambition achieved to develop, manufacture and dispense our own medicine to our own customer in our own pharmacies. Now we are looking ahead to other formulations and markets for more affordable and safer medicines. View details FirstWord Supporters http://www.firstwordgroup.com/ FirstWord is an innovative industry intelligence leader serving over 200,000 Pharma Professionals worldwide. FirstWord offers a range of products and services designed to help your company gain a competitive edge by making key business decisions with speed and confidence. Parallel Trade & Brexit. What to expect? 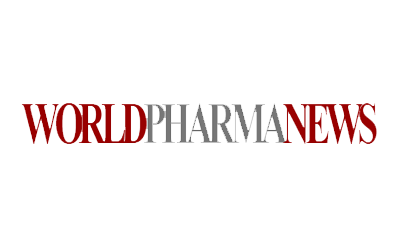 FirstWord is an innovative industry intelligence leader serving over 200,000 Pharma Professionals worldwide. FirstWord offers a range of products and services designed to help your company gain a competitive edge by making key business decisions with speed and confidence.